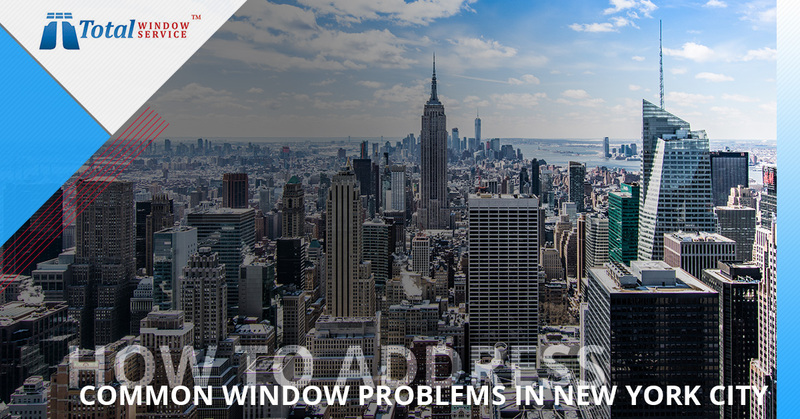 As window specialists in New York City, we’ve probably seen it all when it comes to problems with windows. Here are some of the most common issues encountered, along with ideas on how to address and fix each one. Not only is this unpleasant for everyone in your home, it’s also costly, since drafty windows mean higher energy bills as you try to control your indoor temperatures. When windows are improperly sealed, you’ll feel a cold draft no matter how much heat you’re pumping into the room. On hot days, the room will feel unusually warm even if your air conditioning is going full blast. The solution to drafty windows is to reseal them. This is an inexpensive fix that doesn’t take a great deal of time to complete. If you’re not sure how to seal your windows, or you don’t want to bother with this task, contact the professionals at Total Window Service. In addition to leaving windows spotless, we can handle window repairs for you, such as sealing any gaps that may be present between the glass panels and the frame. Are you tired of looking out of a perpetually cloudy window and not being able to see the world outside? Windows can get fogged up for several reasons, including high humidity and issues with the window seal. Look around the room; are there any plants too close to the window? This may create condensation. Are there any other sources of humidity in the area, such as a tea kettle that’s constantly going? Humidity may again be the culprit of your fogged-up windows. If a couple of windows in your home are fogged up but the windows in the rest of the house are fine, then the foggy windows may need to be re-sealed. Contact Total Window Service to have this job done for you. Often the glass is fine, but the frame is deteriorating. If your window frames are showing signs of cracking, you may be able to get by with filling in the cracks and then repainting the frames. However, if the frame is rotted through, it’s time to have the window replaced. 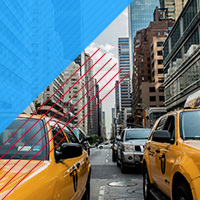 Especially here in New York, the city that never sleeps, a lot of dirt is going to accumulate on your windows. The solution? Wash them! Better yet, hire a professional service to wash your windows for you. Whether you’re a homeowner or a business owner, Total Window Service will professionally clean your windows on a schedule, which means they’ll stay cleaner in between washings so you won’t have to suffer with filthy windows. Get a quote today; you may be surprised at how affordable this valuable service really is! Glare can be extremely annoying. In the workplace, it makes the employees less productive, and it leads to eyestrain and headaches. At home, it’s distracting and can also lead to headaches and eye problems. There is no need to put up with glare or to keep the blinds constantly shut because of glare. Window film can remedy the problem easily. Total Window Service Is Here To Help! As our business name implies, we can handle the majority of your window-related needs, from window washing to window sealing. We can also apply quality film on your windows to reduce glare. Our full range of window services can improve the look of your home or business, as well as create a better, more positive environment for everyone inside. Who doesn’t like squeaky clean windows? Contact Total Window Service today to learn more about how we can help you have clean, beautiful windows year-round.